WADAX Review 2019: Is WADAX a Good Hosting? Japanese hosting provider WADAX is part of the GMO Internet Group. Its premium-priced plans (with premium-priced add-ons) run on hybrid SSD/HDD and offer features for both beginners and experts. WADAX is owned by the larger GMO Internet Group that has been providing Japanese internet services since 1995. WADAX focuses on customer service and security, with 24/7 monitoring to prevent hacking, tampering, and DDoS attacks. The WADAX website is in Japanese. Whilst I am not convinced that the provision is over and above that of other companies, WADAX’s commitment to safety and security is clear. This company colocates its servers in the SoftBank Data Center in Japan. Whilst it’s always better if a company owns its own center, WADAX does commit to using its own staff to monitor and manage its servers 24/7. These servers use hybrid SSD and HDD, which are in RAID 1 and RAID 6 configuration respectively. PHP, MySQL, and PostgreSQL are all available up to the latest versions, but you can select lower versions to suit your environment. Advanced coding languages are also supported, with Perl, Ruby, and Python all included as standard. Cron jobs are enabled so you can schedule regular scripts. Although not apparent on the WADAX website itself, third-party reviews suggest that this provider offers a 99.9% uptime guarantee. 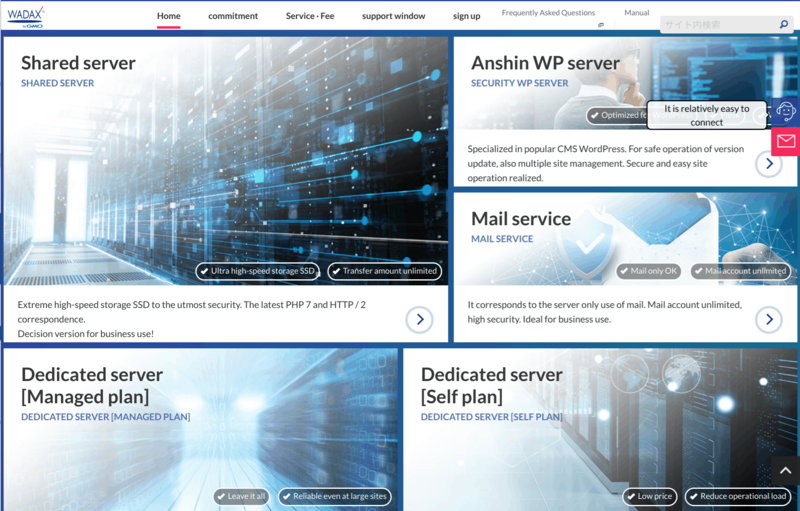 The WADAX plans are slightly overpriced compared to other shared hosting providers, but you will benefit from multiple domains, website building tools, and support for some advanced scripting languages. The prices also exclude a setup fee (equivalent to two months’ fees) and backup fees, both of which are slightly unusual but not unheard of as paid extras. Whilst the security features are one of WADAX’s main focuses, several security add-ons must be purchased separately if required. These are the web application firewall (WAF), SiteLock security, and premium SSL certificates from the likes of GlobalSign. You can purchase the hosting plans on one, three, six, or twelve-month terms, with the monthly fee reducing in line with longer commitments. There is also a 30-day money-back guarantee, which should make you feel better about making more of a commitment. Basically, you’re better off contacting the company at weekends, so you should hope that this is when you’ll need assistance. When I sought assistance as a prospective customer, I received no response within two business days. 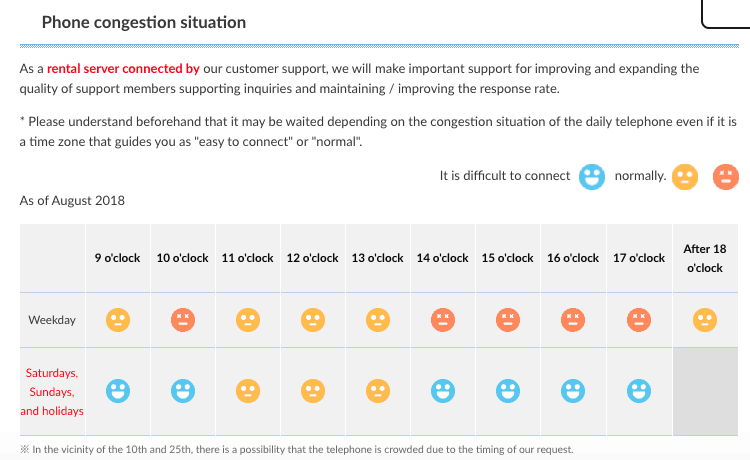 That said, the support is advertised as 24/7, and there is also an FAQ page that might help you resolve your own issues. Part of GMO Internet Group, a large public company with more than 5000 employees, WADAX provides Japanese hosting with hybrid SSD and HDD storage. Be sure to consider the cost of the highly-priced add-ons before buying, but bear in mind that the lowest-priced packages do include plenty of beginner and expert features if 10 GB disk space will be enough for your needs. Wondering how WADAX stacks up against other Web Hosting companies? Enter any other Web Hosting company and we will give you a side-by-side comparison.